Wednesday, we covered several of the countries that are expected to grab some headlines at the 2017 Junior Greco-Roman World Championships, set for this coming weekend in Tampere, Finland. Now, it’s Team USA’s turn in the spotlight and there is every reason to believe that this year’s squad could be on the cusp of something big. It’s a sum-of-all-parts kind of thing for the Americans. Four returning members including two who were bronze medalists at the World Championships last year would allow any nation to be working with confidence, but there is more than that going on here for the US. The other four spots not taken up by incumbents offer some promise, too, and though a couple of these wrestlers are green to international competition, possess the overall skill and fight required to be heard loud and clear at an event of this magnitude. People tend to lean on numbers every time a World Championships rolls around. It’s a lot of “The last time the US had this many…” or whatever other statistical oddity offering a speck of relevance. And there are some examples that (sort of) matter. Most know how the year before Garrett Lowney earned his bronze at the Olympics in 2000, he was a Junior World Champion in 1999. He’s the last American champ. Over the last 16 years, there have been six bronze medalists and seven bronze medals, since current Senior World Teamer and 2012 Olympian Ellis Coleman (66 kg, Army/WCAP) went back-to-back with third-place showings in 2010 and 2011. Last year, G’Angelo Hancock (96 kg, Sunkist, world no. 17) and Taylor LaMont (60 kg, Sunkist) earned bronzes, as well, giving the US multiple medalists for the first time in over two decades. But it certainly isn’t like the Americans haven’t seen the podium. Beginning with Coleman’s two in a row, the US has had one athlete take a third almost every year, with 2015 being the only gap. Is any of this important in even the slightest? Yes — but only because of what the 2017 version of Team USA might be capable of. Hope is not high merely because there are two returning medalists. If that were the case, then most would just hone in on those two athletes and cross their fingers for everyone else. Instead, there is legitimate reason for optimism because the other six wrestlers in the lineup demand as such. The United States is beginning to usher in a new generation of Greco-Roman competitors at the age-group level and above, wrestlers who although may have folkstyle backgrounds, demonstrate a high acumen and desire for the classical style, with desire being the more important of the two attributes. What we have here is a collection of young wrestlers all sporting different strengths and degrees of experience. Some of it matters, some of it doesn’t. The whole picture of each athlete is what counts and also, demonstrates where the true potential of this year’s team resides. 50 kg — Cevion Severado (Xtreme RTC) In 2015, Severado All-American’ed at Fargo and was a runner-up at the Cadet World Team Trials. Last year, the kid from Missouri finished third in freestyle and eighth in Greco at the Junior National tournament. So Severado had been around a bit before entering into this year’s Junior World Team Trials. After a win via tech in the quarters, a fun, high-scoring dust up with Ryan Rowland (Florida Jets) propelled him into the finals against Elijah Varona (NYAC). Varona swept Severado in two straight matches dominantly before an injury cropped up to keep him off this team. So yes, in a way, Severado is here by default. But that doesn’t mean he can’t do something people take note of. Against the more beastly bunch at this weight class, Severado is going to want to try to use underhooks so he can control the tempo. He’s got a two-on-one that works well enough for him to sneak in some slide-by’s, but foreign opponents crave inside control and know what to do with it, making sticking with a lead overhook a dicey proposition, especially for a newcomer. The thing about Severado is that he is very, very quick and has zero indecisiveness once he gains a little confidence. If he can hang tough in the ties and not be overwhelmed by the grandeur of all this, his scrambling ability alone could cause problems. There’s not a lot of steam on him coming in and surely he knows it. However, he’s playing with house money and the right break at the right time could result in quite the interesting storyline. 55 kg — Randon Miranda (NYAC-OTS) Bey aside, no one is as ready for a step up on the World stage as much as Miranda. He’s a kinetic scorer who has become particularly adept at transitioning from one attack to another, and he has also taken a much more assertive approach angling in the ties. Part of that could be credited to his step up into Senior competition over the last year. Wrestling against the bigger folk at 59 kilograms has helped Miranda figure out that sometimes, technique alone isn’t going to get it done. He’s always had fight in him, but being able to actually bring the fight is where a lot of his improvement has come from. It’s also what makes Miranda so much fun to watch. At the 2016 Junior Worlds, Miranda went 1-2, the lone victory a blitzing tech over Hideto Yamaguchi (JPN). In that bout, Miranda lowered his level, got to the body, and gutted Yamaguchi right out of dodge. He lost his next two, but the win showed that he wasn’t working with any stage fright, an important footnote for anyone’s first World tournament. What also aids in Miranda’s chances is the fact that international competition as a whole isn’t new to him. He is a two-time winner at the Junior Greco-Roman World Duals and has also earned numerous overseas medals during his time at Northern. Yes, the field at 55 kilos is considerable. It’s one of the deeper weights in the entire event. Miranda is part of that depth and one way or another, should be expected to be in the medal chase. 60 kg — Taylor LaMont (Sunkist) LaMont barely missed out on a World medal as a Cadet in 2015, so it was nice to see him finally punch it through in France last year. He’s too talented for anything he achieves to be thought of as some underdog-done-right tale, but the word definitely wasn’t out on him all the way a year ago. 2017 brings with it a slight change in the narrative — LaMont is now a favorite and definitely won’t be sneaking up on anybody in Tampere. He has been a domestic age-group stud with two wins at Fargo along with glitzy success elsewhere on the Cadet and Junior circuits. The one thing you want to see out of a promising full-timer is the understanding of the environment, which LaMont has in spades. Even before he made the Junior squad in ’16, he put together a strong effort at the Senior Last Chance Qualifier for the Olympics. He made another jump up to the Senior level this year, the high points being a fourth-place at the US Open and a surprisingly competitive loss to Senior World Team member Ildar Hafizov (Army/WCAP) at the Trials in April. LaMont is a do-it-all Greco athlete who can use his strength and balance to create angles upright Europeans have trouble with, although he can play a classical game if forced to. There is a meanness to the way he wrestles, this isn’t playtime for him. LaMont is a downright ferocious competitor and if that was all you knew going in, it would be enough to feel charged up about. Instead, he is the full package, making him one of the country’s best and brightest hopes for a champion. 66 kg — Dominick Demas Two-time Cadet World Team member Demas is the wildcard, the x-factor of the 2017 US Junior Greco-Roman World Team. Demas may be a skilled all-around wrestler, but it is easy to see why he gravitates towards Greco — he loves to provide air time. He has a wicked arm throw that he pops open with stunning velocity, a whopper of a headlock, or he can lower in for a damaging bodylock. The best part is that whichever weapon he chooses, Demas does not wait around. As soon as he’s in control, he looks to turn immediately, which obviously plays very well into the current rule-set. He might need to get creative at times and mix in a little feinting and movement in the ties to manufacture setups. That’s okay. Just as long as he can seize the opportunities available, it’s a safe bet he will take advantage of them. 66 kilograms is full of decorated, experienced wrestlers, but it isn’t like Demas is just some neophyte walking into his first World event. He knows what this is all about and that carries meaning during a time like this. There shouldn’t be too many surprises for him. Demas has been preparing for the gauntlet and got himself through a very tough Trials tournament just to get this far. Athletes at this weight might have more overall seasoning, but few can match what he can bring, which is an exciting blend of athleticism and confidence. That’s what he is working with. Demas does not have the same resume as many of the others in this bracket, which is why it could be really enjoyable to watch him drop some jaws. 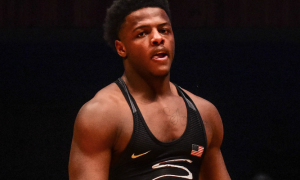 74 kg — Kamal Bey (Sunkist) An unquestioned star in the sport stateside, Bey was a medal contender in 2016 before being derailed by eventual bronze Zoltan Levai (HUN). After coming home from the Junior Worlds last summer, Bey busied himself with getting ready for full-time Senior competition and made an immediate splash, winning the first three events on the calendar, two of them in dominant fashion. He then went over to Austria and picked up a gold there and the next week, earned his first overseas Senior medal at the Grand Prix of Zagreb. 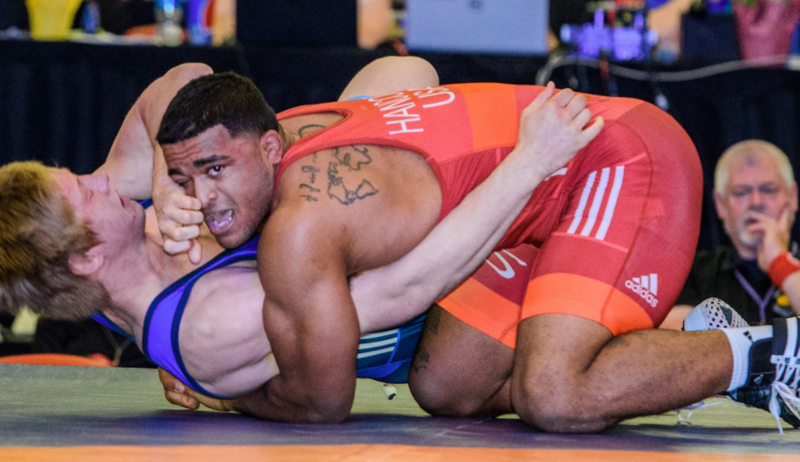 A stunning two-match loss at the hands of Mason Manville (Army/WCAP) in the finals of the Senior Trials allowed Bey some time to reset following a busy year. He’s now refocused on the task at hand, and that makes a him a very, very dangerous individual to compete against. 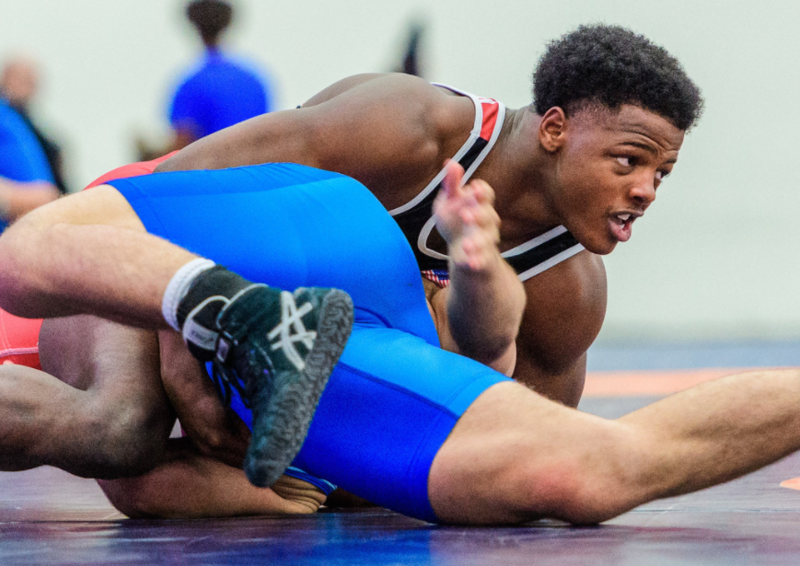 While he is an extremely well-coached wrestler who had the benefit of coming from the vaunted Illinois age-group program before he made his way out to the OTC, some of what makes Bey special is hard to teach. Bey does not hesitate to trigger the launch sequence. As soon as he feels he is in decent enough position, he’s trying to throw. We’re talking his hands are barely locked and he is already moving into the proper lane to set his feet. Because of this, Bey is not in a whole lot of low-scoring, grinding matches. It’s usually the opposite. His penchant for being exciting and aggressive is what makes him popular, but it is also what makes him a potential winner here. It is rare to see Bey called for passives due to his style and his pace is often too high for plodders to keep up with. So long as he can stay zeroed in early on, all signs point to Kamal Bey bringing home some World hardware, maybe even gold. 84 kg — Wyatt Koelling (MWF) Like LaMont, Koelling has been a successful age-group wrestler going on several years (there’s also the Utah connection, of course). Koelling represented the US twice in 2015, first as a Pan Ams champ and then later on as a member of the Cadet World Team in Sarajevo. He also won Fargo that year. Koelling missed out on the Junior World Team in 2016 but re-asserted himself into the Greco picture earlier this year overseas with a bronze medal at the Austrian Open while away from the Missouri wrestling room. At April’s Junior Trials, he marched through a highly-competitive field and racked up a surprisingly quick win over NMU’s Austin Chaon via tech in the semis before turning back Tommy Brackett (TN) in the finals in two straight to sew up his spot on this team. Physically, Koelling is cut out very well for 84 kilograms and has been competing at or around this weight for a while now. He’s certainly big and strong enough to take on the other brutes gobbling up space here. What he has going for him wrestling-wise is excellent balance. Koelling is very difficult to knock off his spot and he seems to absolutely despise giving up even an inch of position. That’ll serve him well here, ardently controlling the center. He might need to bring his pace up a little for this tournament because constant stalking will not be enough to pile up points. Koelling will have his chances, though. No one is going to bully him and with his folk background, also boasts a slick transition game. He could be in the hunt, for sure. 96 kg — G’Angelo Hancock (Sunkist) There is no doubt that all eyes will be on Hancock this weekend. It has to be this way. Along with Bey, Hancock represents the new breed of Greco-Roman in the US, athletes who came over early and are (probably) staying for good. But obviously, we’re not talking about a middle-of-the-road competitor here. At still only 19 years of age, Hancock has already established himself as one of the most talented wrestlers, of any style, in the country. The hype began growing at the 2016 Olympic Trials, as it was in Iowa City where Hancock made his presence felt by taking third, thus earning a spot on the National Team. Since then, it has been a whirlwind. Victories at nearly every domestic event as well as a few impressive tournament titles overseas have only added fuel to the fire surrounding Hancock’s status as World contender both in Tampere and in Paris a few weeks from now. There is no secret formula to Hancock’s prowess on the mat. He has been a diligent student of the game ever since US legend TC Dantzler took him under his wing and introduced him to what life could look like with a supportive training environment. Hancock has Momir Pektovic and Matt Lindland to thank for that, too. Perhaps because of these influences, Hancock unpretentiously works his way inside to find bodylocks, one of the more devastating moves in his arsenal. He can hit them from a variety of angles and despite his size, is speedy enough to get around back for other takedown opportunities should he come loose. Power and fluidity, those are his keys. Hancock also won’t be wowed by the stage. He’s been here before, after all. If anything, he has some unfinished business to settle and will look to do so, even if his presence at the Junior Worlds is kind of a warm up for the Senior event later in the month. 120 kg — Cohlton Schultz (NYAC) 16-year-old wunderkind Schultz won the Cadet Pan Ams in 2015, was a Cadet World Team member last year and is again this year. He’s a busy guy. Many point to the frizzy-haired manchild as a potential successor to star Robby Smith (130 kg, NYAC) down the road, and that may be true. Schultz is definitely being groomed for a full-time Greco-Roman career, though he does have plenty of options elsewhere. For now, this is where he’s at — appearing in two World Championships in one summer. Good work if you can get it. To make this team, Schultz put together an outstanding effort at the Trials, scoring wins over two Illinois standouts — Tommy Helton in the semis and 2017 Fargo champ Anthony Cassioppi in the best-of-three final. After locking down his Cadet spot a month later, Schultz then went on a tour of Croatia and Serbia, nailing down a gold and a silver, respectively. At the Cadet World Championships, Schultz will likely be considered a strong favorite to either earn a place on the podium or win outright. This tournament is a little different and not just because two-time defending Junior World Champion Zviadi Pataridze (GEO) is still around. For all of Schultz’s impressive power, savvy, and opportunistic ability to create dynamic scoring chances, he might be a little young yet to deal with the bevy of older bruisers who hold more experience than he. Or, he could wind up shocking the world. Despite his youth, Schultz won’t be outclassed and there is enough going in his favor to where a huge performance isn’t out of the question. It’s just important to remember that there is plenty more to look forward to with this kid and whatever happens in Finland is a glimpse of what is likely going to be a very bright future. Wrestling begins at 10:00am local time (3:00am EST) on August 5th and 6th on Trackwrestling.com.